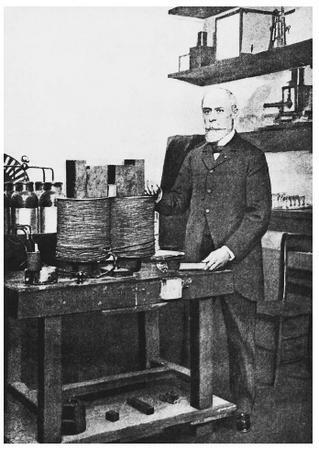 French physicist Antoine-Henri Becquerel, co-recipient of the 1903 Nobel Prize in physics, "in recognition of the extraordinary services he has rendered by his discovery of spontaneous radioactivity." SEE ALSO Curie, Marie Sklodowska ; RÖntgen, Wilhelm . Becquerel, Antoine H. Comptes Rendus , translated. "On the Rays Emitted by Phosphorescence." Available from http://webserver.lemoyne.edu/faculty/giunta . Becquerel, Antoine H. Comptes Rendus translated. "On the Invisible Rays Emitted by Phosphorescent Bodies." Available from http://webserver.lemoyne.edu/faculty/giunta . Nobel e-Museum. "Antoine Henri Becquerel—Biography." Available from http://www.nobel.se .